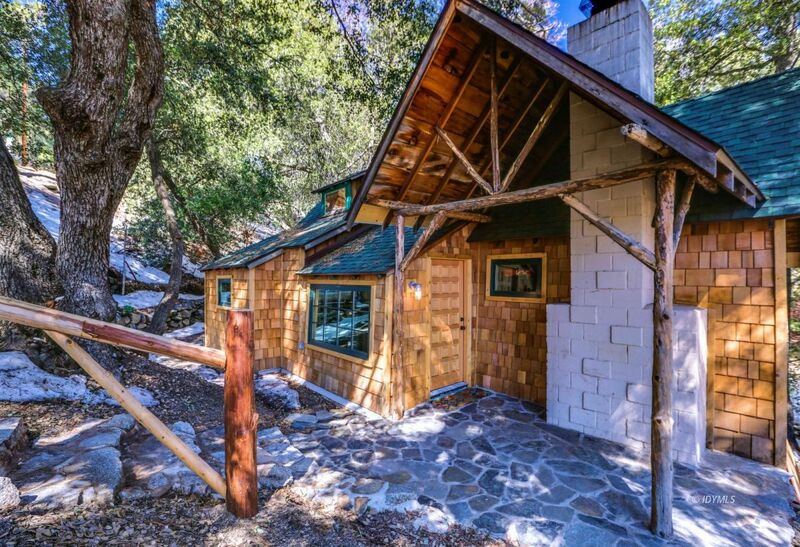 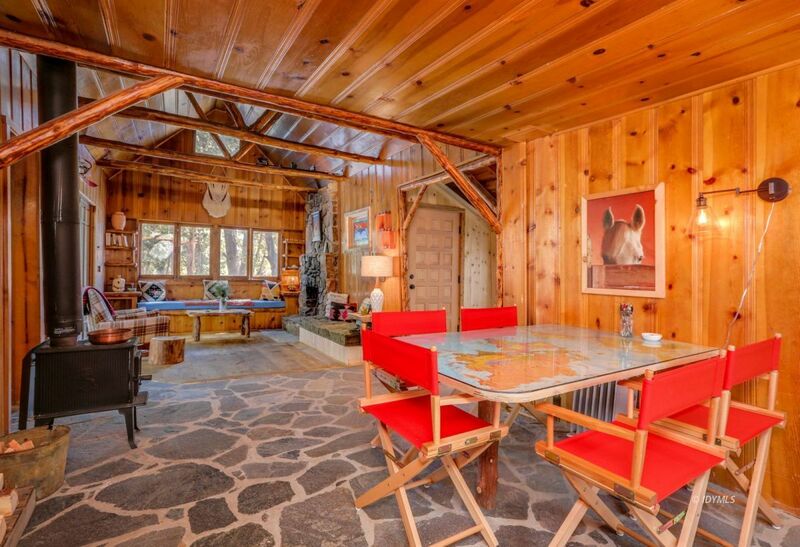 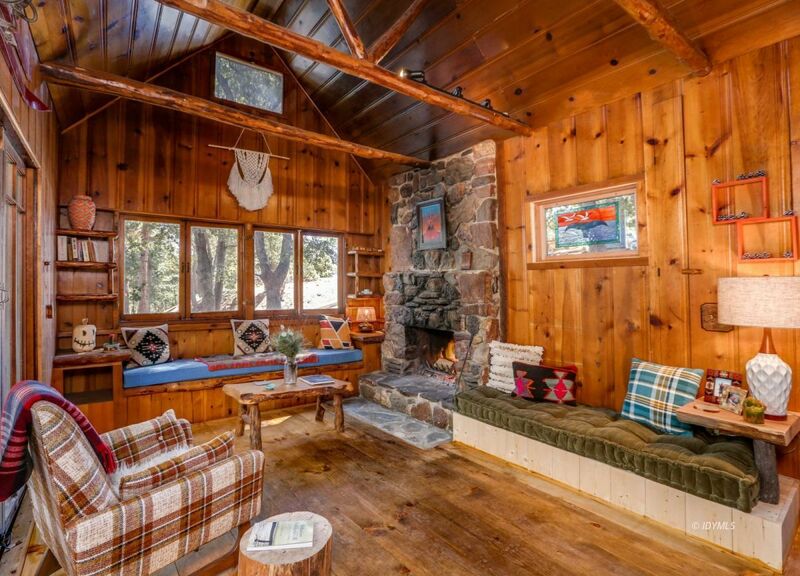 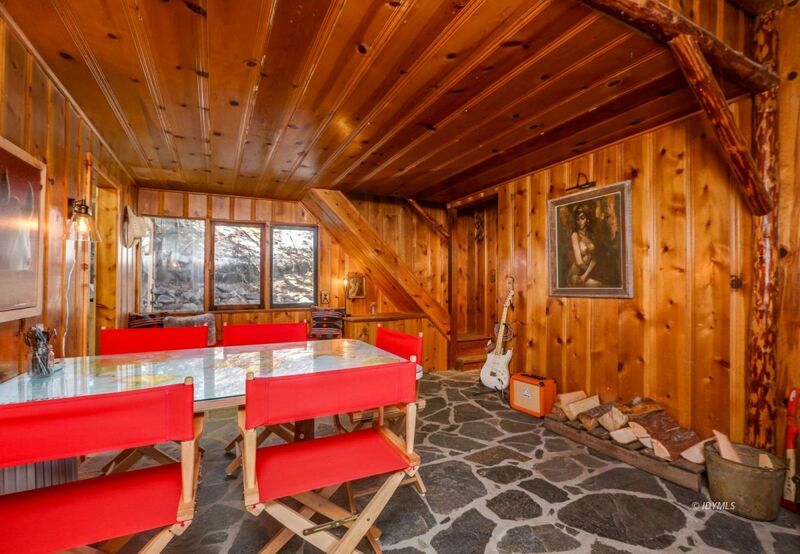 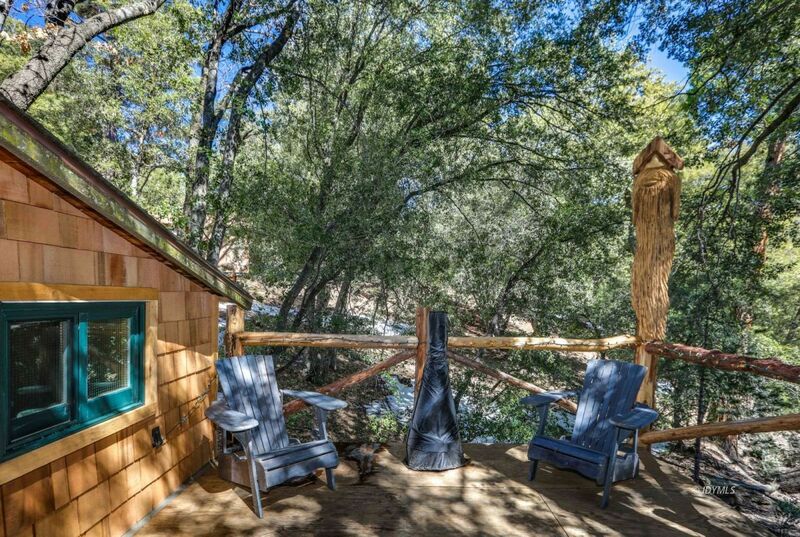 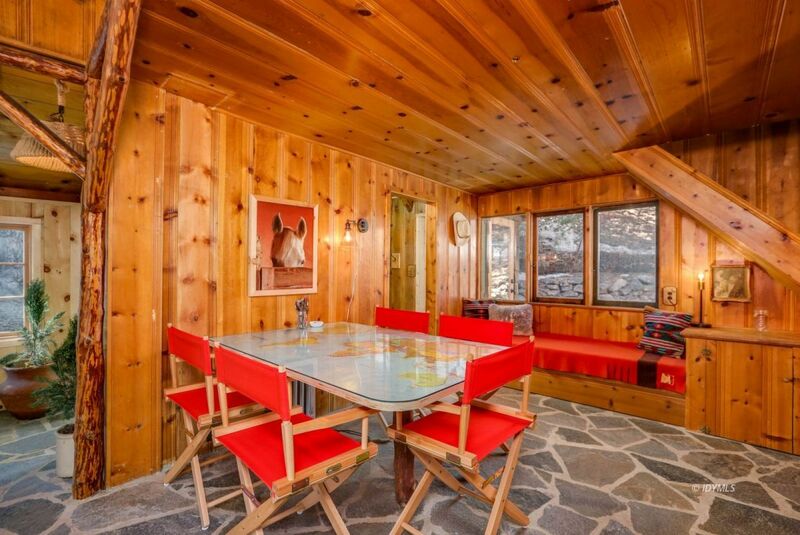 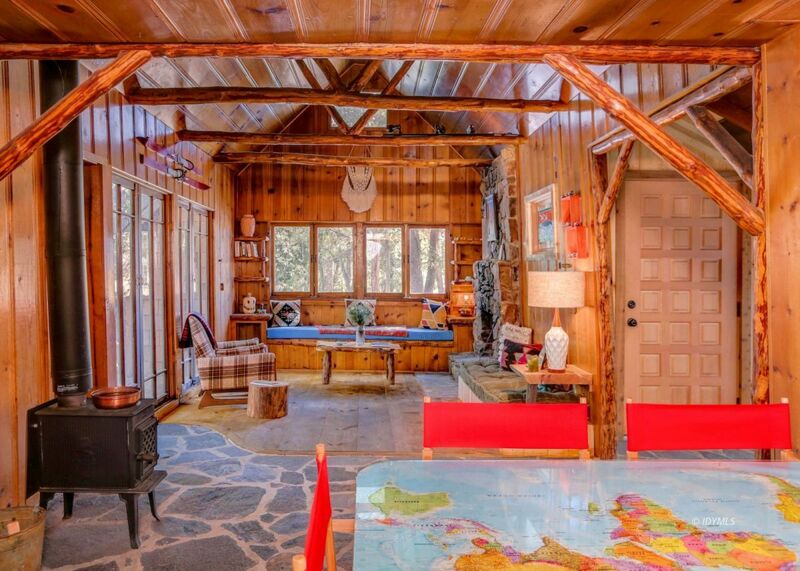 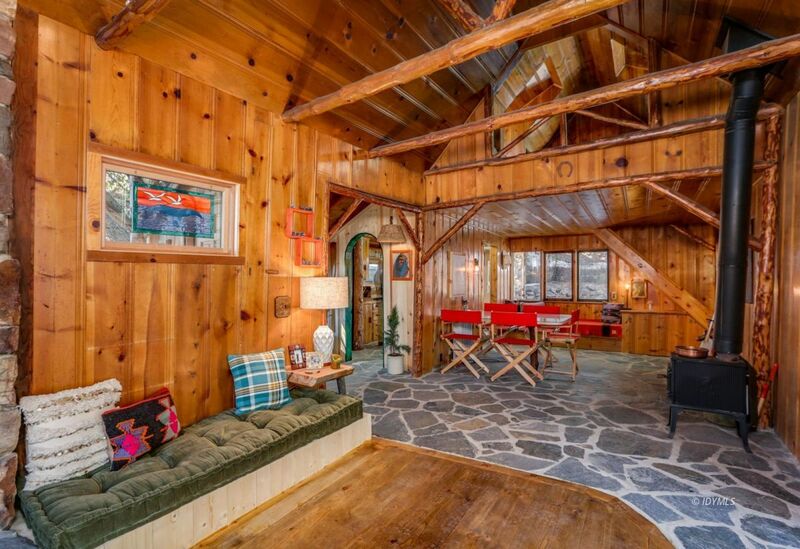 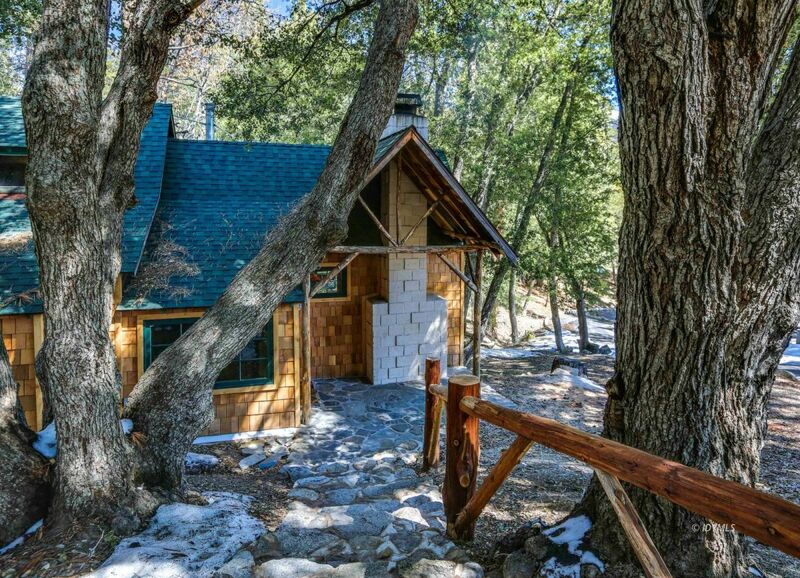 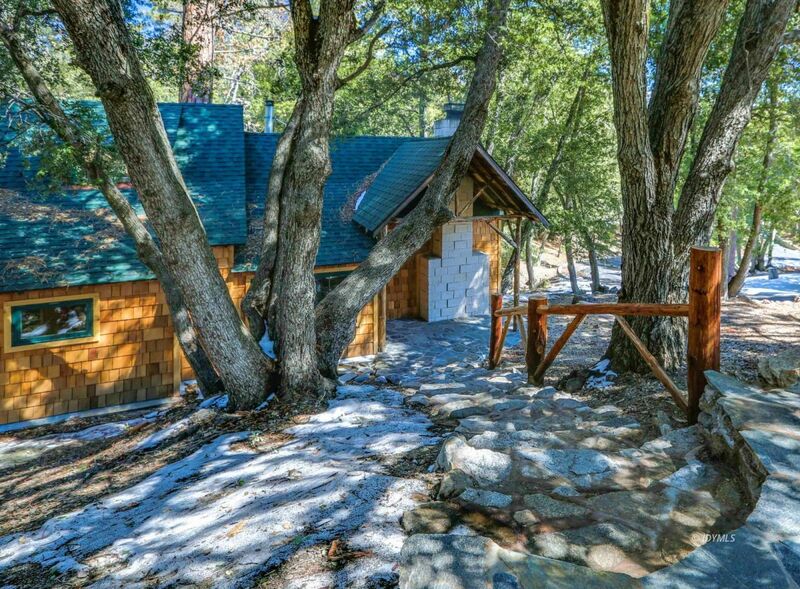 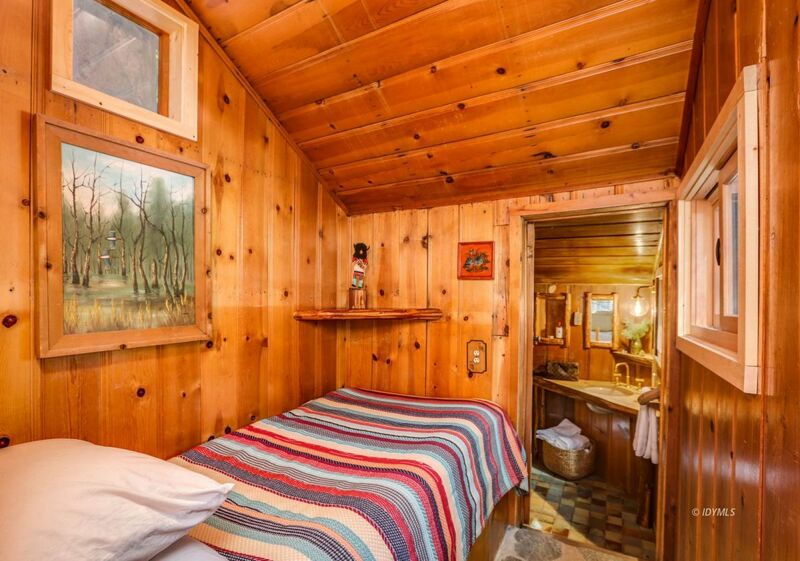 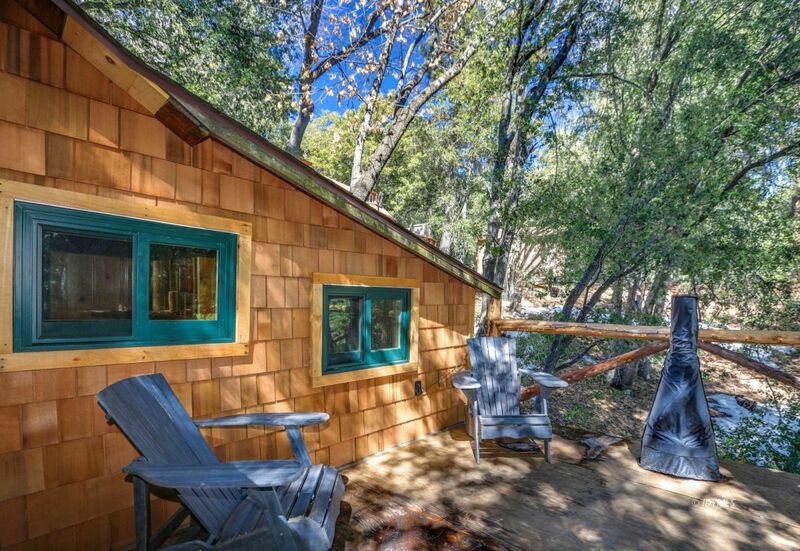 Own a piece of Idyllwild history! 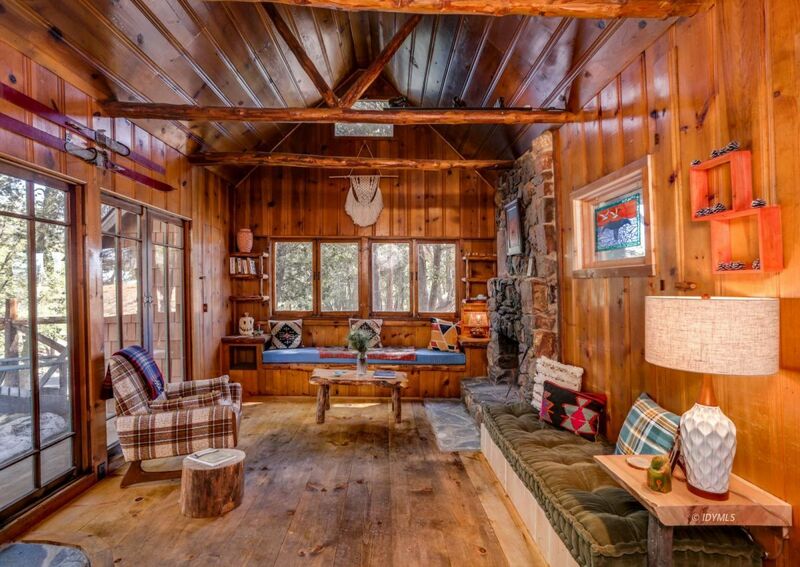 Circa 1947 Vintage cabin built by C. Selden Belden from Pinecraft Furniture fame. 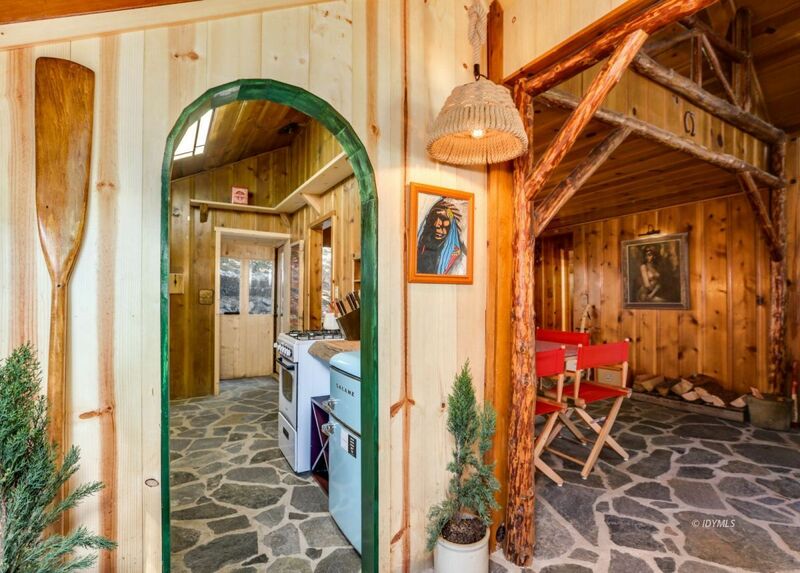 Mr. Belden began crafting rustic furniture with scavenged pine from the forest in the early 1950's and some of his wonderful creations/collectibles are featured in galleries all over the world. 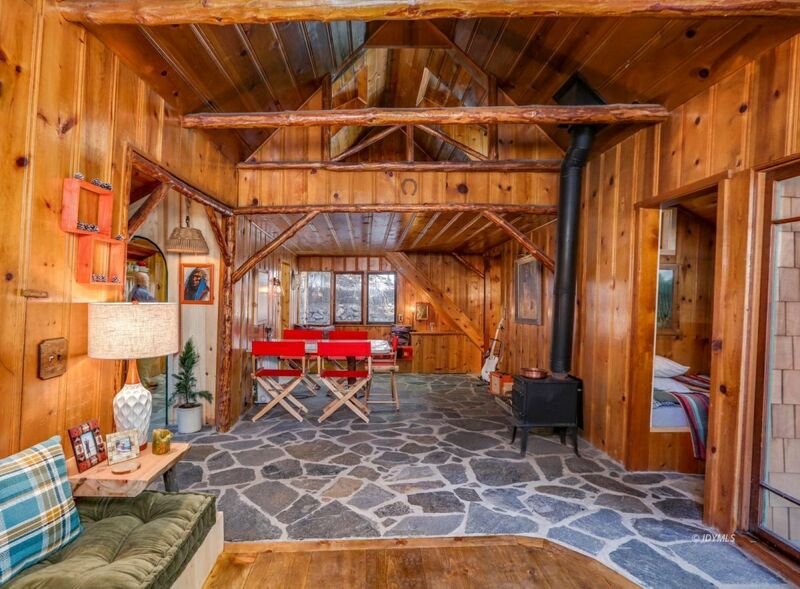 This jewel has been lovingly restored in 2018 and maintains its original detail & character throughout. 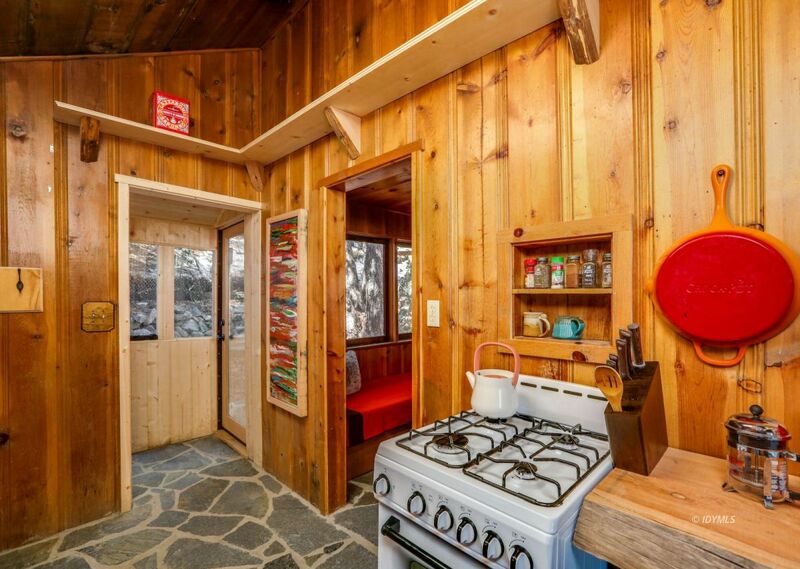 Newly modernized featuring a new roof, new siding, new hot water heater, new plumbing & electrical including new electrical panel and architecturally appropriate windows. 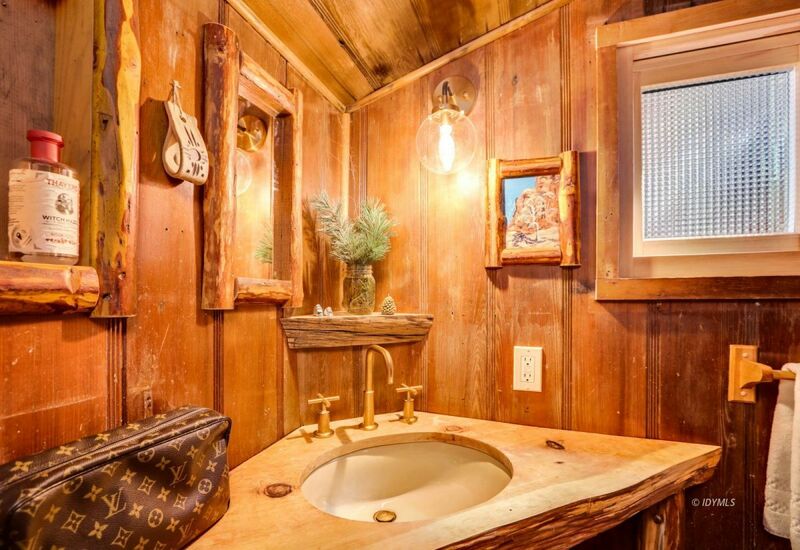 Bathrooms feature local cedar vanities. 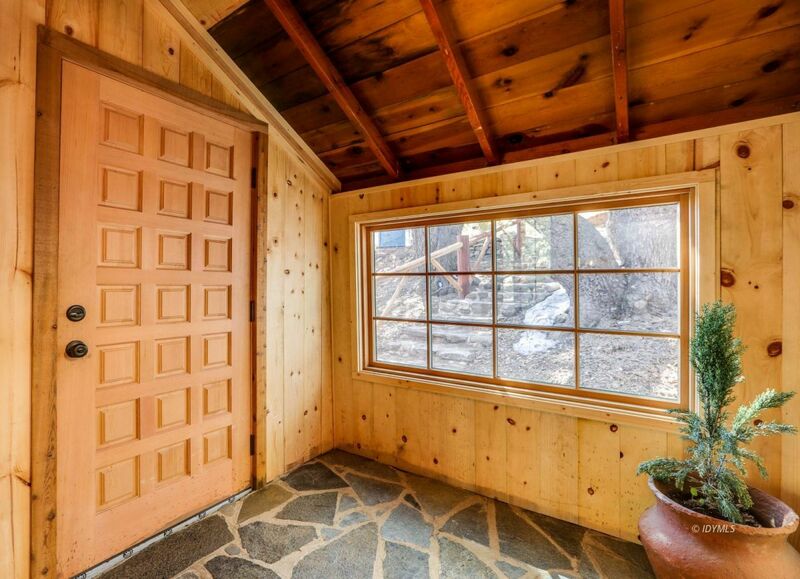 Flooring is a mix of flagstone & wide plank pine. 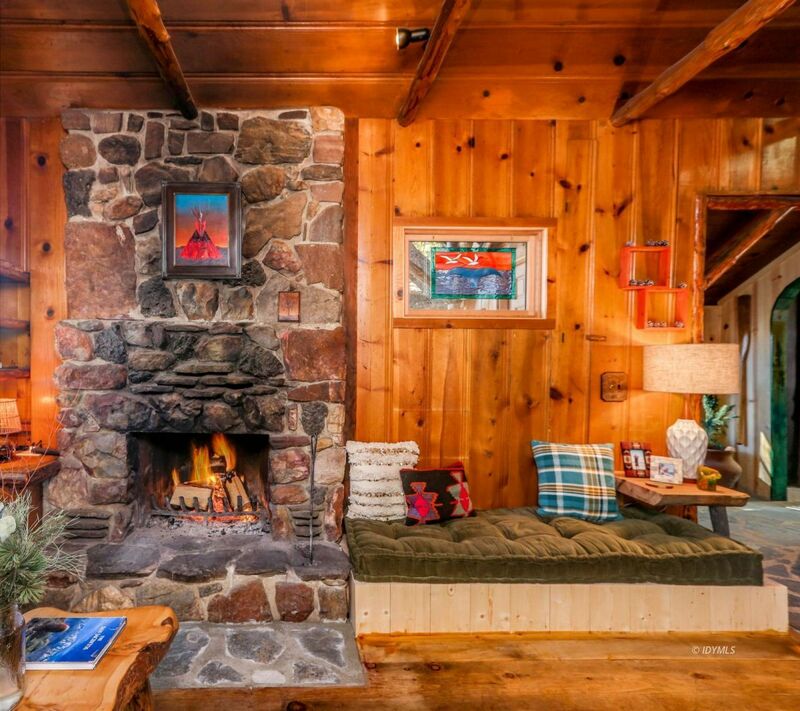 A new jotul wood-burning stove and original stone fireplace built from stone quarried onsite keeps the cabin warm & cozy in those chilly winter months. 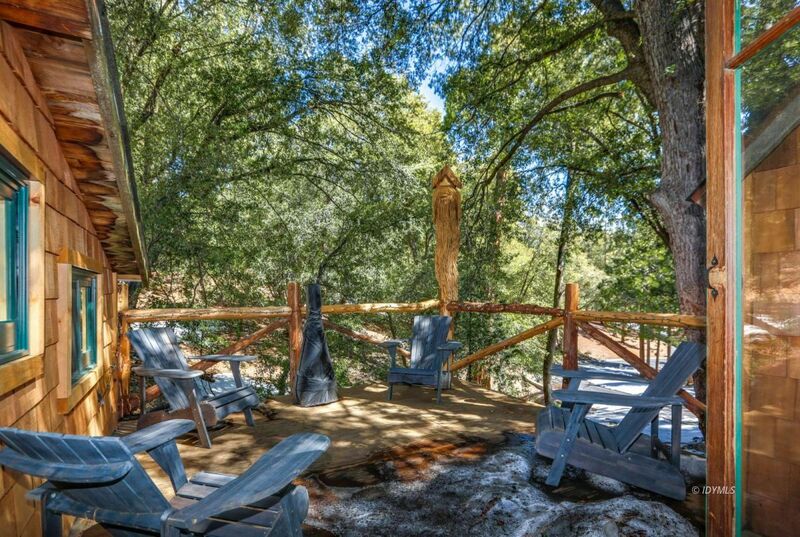 Vintage french doors lead to a private deck with wood carving & cedar rails creating a lovely outdoor seating area perfect for those summer days!